KCD_S2100 : 100 Key Cabinet. Available in ?mm Solid Steel Structure. Dimensions : Body Size : 400x550x120mm. This safe is equipped with an electronic combination lock. This type of lock only allows entry to the safe via a correct combination selection. 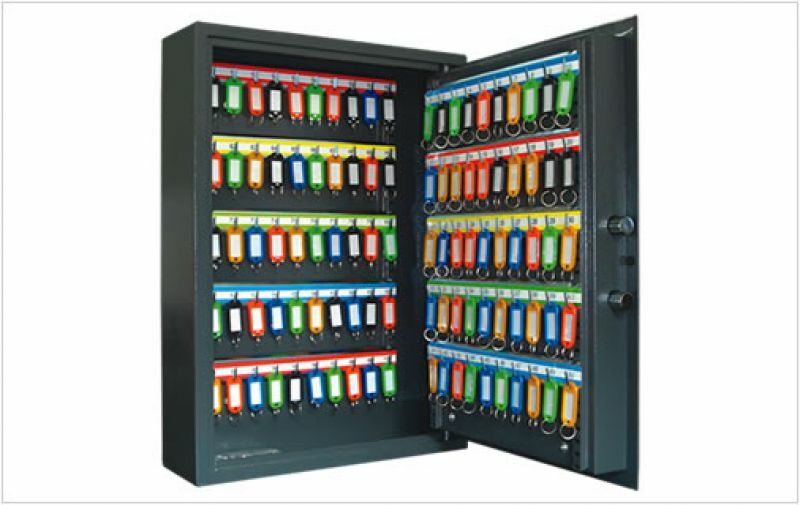 Our strongly made steel cabinets are secured with a very high quality twin action double bolt mechanism and includes a hidden key lock for emergency access.